The moment Baby E wakes up, the most common words out of her mouth are "What dress can I wear today?" I never thought my daughter would be such a girly girl. The daughter of a mom who tried to avoid pink as much as I could when she was younger. The irony. She will only wear pants outside in cold weather, even then I'll still hear "Can I wear this dress?" before I reason with her. 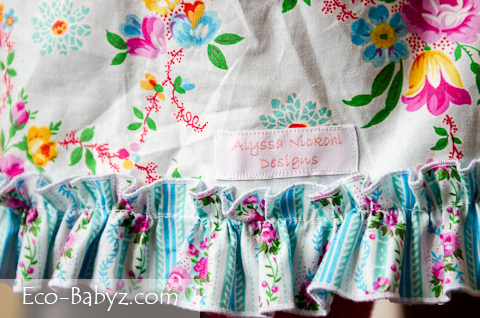 We were so excited to receive this beautiful Happyland Dress for review from the talented Karyn at Alyssa Nickohl Designs Etsy store. I will let the pictures do most of the talking! As you can see, this beautiful, handmade dress is nothing short of breathtaking. Okay, so maybe I'm a little biased with my daughter wearing it - but it is gorgeous! It is simple, yet the attention to fine detail is evident stitch to stitch. We picked a size 5 for our 4 year old so that she can wear it for two summer seasons and it really worked out well. It fits her nicely and we used the included flower pin to make it temporarily narrower at the chest. The perfect fit is achieved with a gathered back, so it's nice and fitted at the top and a-line at the bottom. Baby E loves this dress! She was absolutely ecstatic when she saw it and wanted to wear it immediately of course. I love the print and the fact it isn't head-to-toe pink. It's actually not easy to find girls' dresses in this color scheme. I'm a little obsessed with blues and teals for her because it makes her gorgeous eyes stand out! It is perfect for a day spent outside in the summer and I'm really looking forward to some fabulous photo ops when the weather warms up. As you'll see, everything in the Alyssa Nickohl Etsy shop is really beautiful and unique! I encourage you to check it out. Karyn also offers lay-away if there is something you love but you're not quite ready to purchase at the moment. 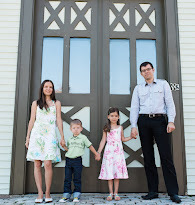 The dress we reviewed is priced at $42, comparable to something you would buy at a fine boutique. Prices range anywhere from $16 to $62, with plenty of variety. 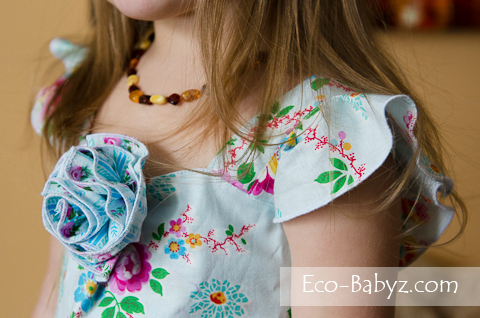 As a mom of a little girl, it is tempting to buy every cute outfit that she creates! 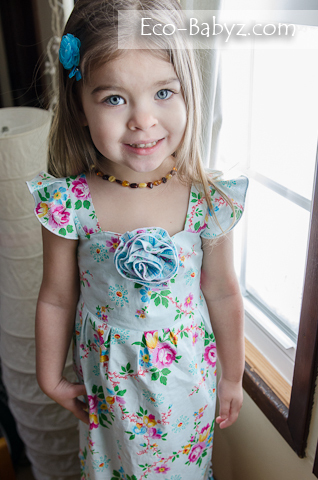 Karyn has generously offered to give away the same Happyland Dress to the daughter of one of our readers during the Handmade from the Heart event that launches tomorrow, Valentine's Day!